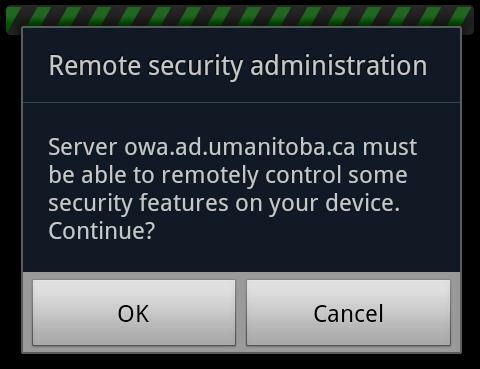 To configure your Android 2.3.5 (Gingerbread) phone with the University of Manitoba Office 365 email server, choose the Accounts and sync option from your applications list. The option may also be under your Settings menu. Enter your U of M Retiree email address (which should be in the umnetid@umr.umanitoba.ca ) and password. 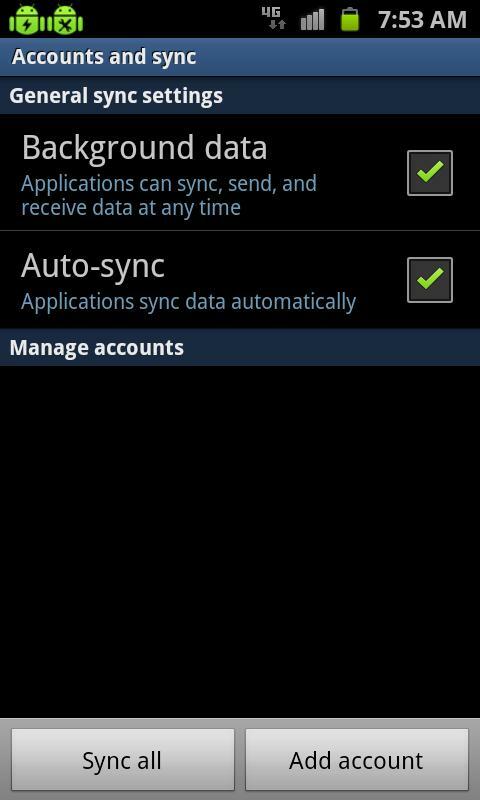 Then, tap Next and your phone will retrieve the server settings. In order to access University of Manitoba Exchange email on your phone, you will be required to add a pin to your device. After verifying your username and password, your phone will prompt you about this. Choose OK to continue. 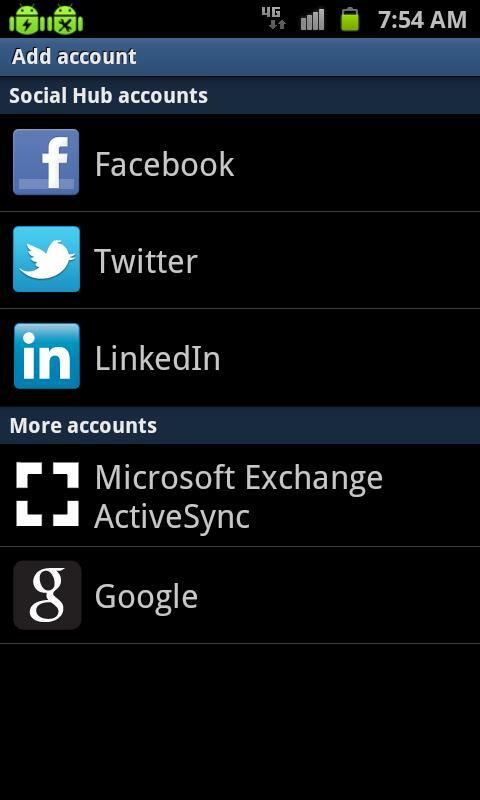 Next, your account options will be displayed. Choose Next to accept the defaults. 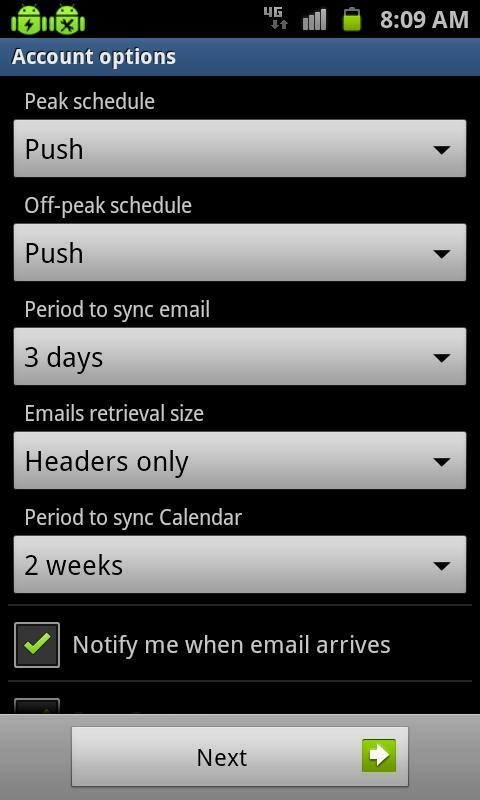 Alternatively, you may select options such as your email retrieval size, range of time for which email and calendar are synced, etc. 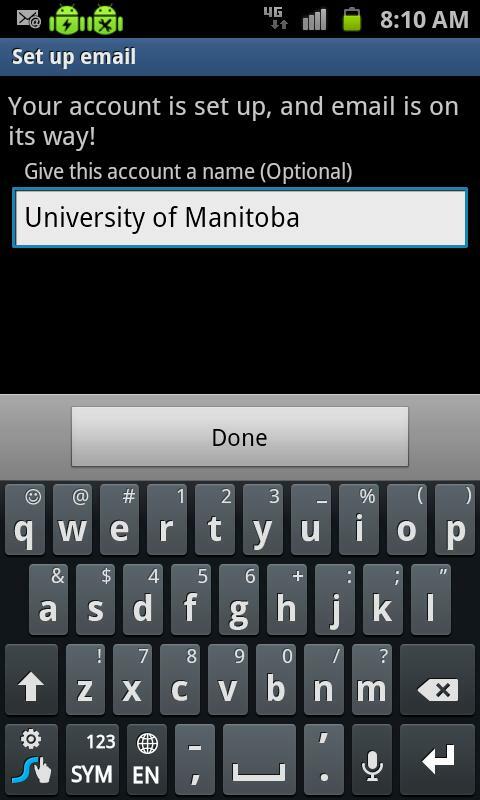 Your phone will prompt you to activate the University of Manitoba as an administrator for your phone. This is purely to enforce the pin requirement, and to enable self-service data wiping through Outlook Web Access in the event that your phone is stolen. Tap Activate to continue. 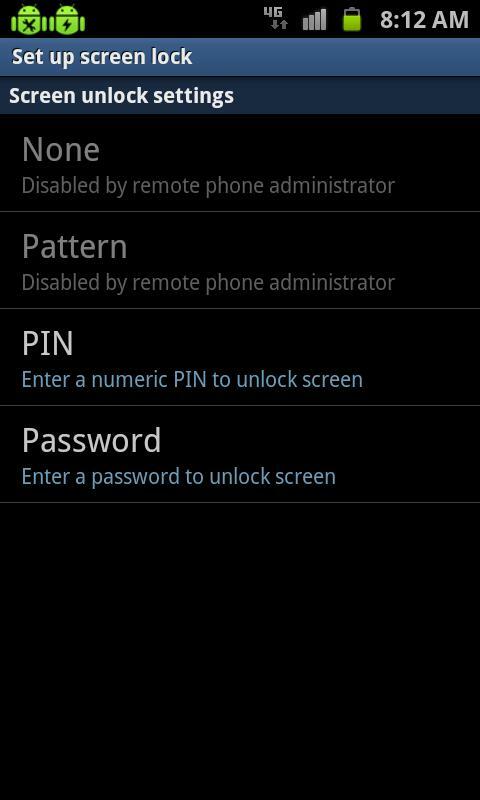 Your phone will prompt to add either a numeric pin or text password. Choose the option you prefer, and enter it twice, pressing Continue the first time and then OK the second.